We have all heard the word “tumor” and simply think of a mass of tissue. 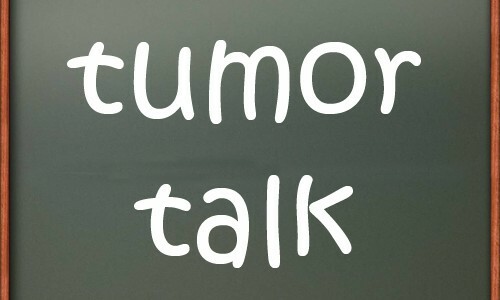 But what is a tumor, really? The definition of tumor implies abnormal cell growth; this results in an abnormal lump or mass of tissue. Tumors (also referred to as a neoplasm) are not always cancerous (malignant); they can also be non-cancerous (benign). Benign tumors usually grow more slowly than malignant tumors; however their growth can interfere with the ability of healthy tissues to thrive. At times, they may grow large enough to apply pressure to vital body organs resulting in serious health problems. Surgical removal is recommended at times for benign tumors. Malignant tumors grow at a faster rate, in general, than benign tumors. The concern with malignant tumors is that they may spread to other body tissues and cause damage to them. So, how do we deal with a tumor? Several factors to determine the prognosis for treatment of a tumor include its size, location and type. The patient’s health is also a consideration. At times, there are no symptoms and as a result the tumor is left alone. If a tumor is suspected to be malignant, however, a doctor removes a sample of tissue (called a biopsy) to be sent to a pathologist who studies the tissue under a microscope to confirm if it is malignant or benign. Tumors are categorized into a system called a tumor grade, which can be determined by the pathologist. The tumor grade is a way to classify cancer cells to see just how abnormal the cells look under a microscope and how quickly they are likely to grow and spread. The specific factors to determine the tumor grade varies by the type of cancer. The tumor grade is combined with the cancer’s stage, as well as the patient’s overall health, to determine treatment by the medical professionals. The tumor grades signify the various degrees of severity, and are described as Grades 1, 2, 3 or 4. Grade 1 tumors are the least aggressive in behavior. There are a variety of grading systems which differ for each type of cancer. Examples include the Gleason system for prostate cancer, the Bloom-Richardson system for breast cancer and the Fuhrman system for kidney cancer. There are a large variety of tumor types and your particular type should be investigated to gain further information. Tumors are listed in the information section of KnowCancer.com. At the bottom of the listing you will see the tumor types with descriptions of their signs and symptoms, risk factors, treatment and additional information that may be helpful.